UNITED STATES: Investment manager Quinbrook has acquired a 223.5MW portfolio of operational wind farms from subsidiaries of developer NextEra Energy Resources. The acquisition was made by developer GlidePath Power Solutions, which Quinbrook bought last year, it stated. Including the latest project additions from NextEra, GlidePath now owns more than 600MW of wind, solar, gas, and battery storage projects in development or operation, Quinbrook added. 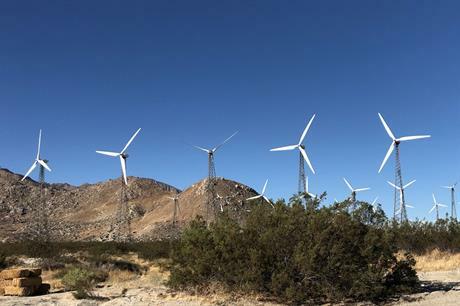 A "NextEra affiliate" will continue to operate the projects — six wind farms with capacities ranging from 9MW to 66MW, in Pennsylvania, West Virginia and California, Quinbrook stated. Windpower Monthly understands the six projects Quinbrook acquired are the 9MW Somerset, 15MW Mill Run, 30MW Meyersdale and 64.5MW Waymart sites in Pennsylvania; the 39MW Cabazon project in California; and the 66MW Mountaineer Wind Energy Centre in West Virginia. The financial terms of the acquisition have not been disclosed by either party. "This latest acquisition lays the foundation for our US distributed power platform to be spearheaded by the GlidePath team," said David Scaysbrook, managing partner at Quinbrook. He added that the acquired projects offered "immediate cash returns" as well "future upside benefits from repowering existing wind sites with the latest wind turbine technology and extending their operating lives for another 25 years or more". Quinbrook also this week closed construction and tax equity financing of the 200MW first phase of the 365MW Persimmon wind farm in Oklahoma. It had recently acquired a 75% controlling equity stake in Persimmon and formed a joint venture with Elawan Wind, the initial developer of the site, to deliver the project. GE will supply the turbines for the project, while its energy investment unit GE Energy Financial Services is providing more than $190 million of tax equity financing for Persimmon. Financial service companies CIT Bank, MUFG Union Bank, and Rabobank are providing additional funding. Persimmon's 80-turbine first phase will comprise 73 units of GE's 2.5MW turbines and a further seven of the manufacturer's 2.3MW machines. Both models will have rotor diameters of 116 metres. The first phase of the project is scheduled to be completed and first generate power in mid-2018.